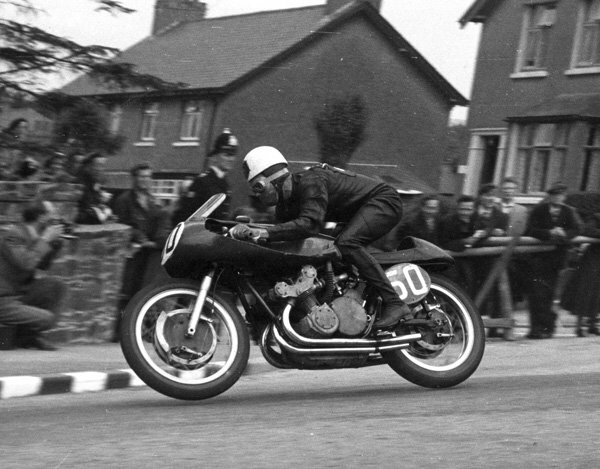 Geoff Duke's final lap of the TT will take place this weekend, ahead of a private family funeral next week. 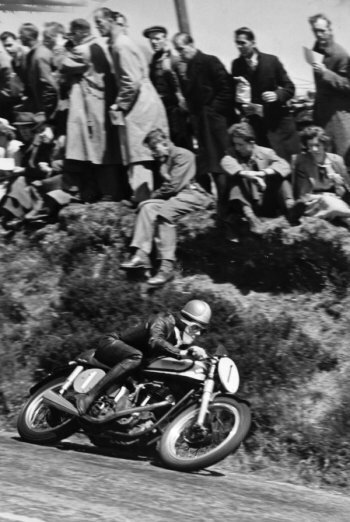 Geoff, who won seven races on the Mountain Course in a stellar career that included six World Champion titles, passed away on the 1st of May at the age of 92. A hearse carrying his coffin willdepart the Grandstand at 2.30pm on Sunday (10th May) to complete a final tour of the circuit where he made his name, and gave so many fans such pleasure with his successes. David Cretney MLC, a former MGP competitor, will wave the flag to start the hearse on its journey. Geoff's sons, Peter and Mike, will follow on motorbikes while other family members will join the lap in cars. The family would welcome any fans who would like to pay their last respects to Geoff to join them for the lap*. 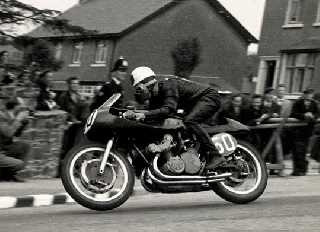 Geoff's TT victories, first for Norton and later Gilera, helped to secure his place as a household name in the 1950s, becoming the first true superstar of motorcycle racing. Reflecting the importance of Geoff's place in post-war motorsport, national newspapers including the London Times, Daily Telegraph and The Guardian have all carried obituaries. Further afield Fox Sports and CycleWorld in America, and Australian, Italian, German, Spanish and French newspapers, magazines and websites have carried tributes to 'The Duke'. Spectators at the MotoGP round at Jerez paid tribute to the former champion during a minutes silence last Sunday, and TV coverage of the event showed a special film showing some of Geoff's career highlights. A further obituary with tributes from son Peter will be broadcast on BBC Radio 4's 'Last Word' programme at 4.00pm on Friday (8th May). The Manx Radio tribute will be available to listen again on Manx Radio's website for a week after broadcast. Douglas Borough Council have also confirmed that flags on buildings in the town will be lowered to half-mast on the day of the funeral. 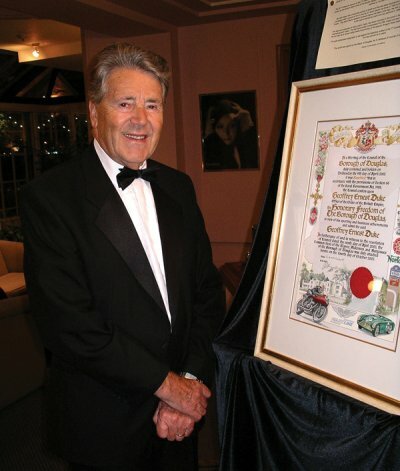 Geoff was awarded the freedom of the borough in 2003. *The lap will take place on open roads. Normal rules of the road apply. Participants take part at their own risk.